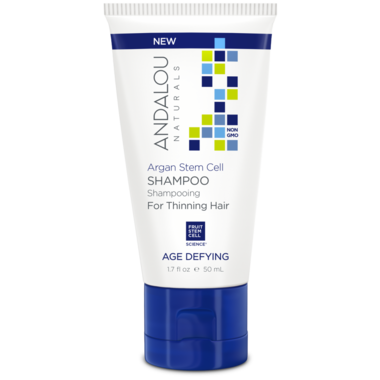 The ANDALOU naturals Argan Stem Cells Age Defying Shampoo is now in a convenient travel size. Love Andalou shampoo and conditioner. Age defying priducts make my hair feel fuller. The travel size is great for packing!